Due to increased technology, poultry feed making machine is among the new machines in the market. They are making it easier to make pellets for a various variety of animals like fish, sheep, cattle, poultry, rabbit, chicken, duck, cheese, geese among others. The machine is able to make pellets of a diameter ranging from 2mm to 8mm. It has a capacity of producing 800kg/hour to 1000kg/hour. This means you can control the speed of production depending on the demand in the market. The animal feed making machine is a great boost to small-scale farmers in the market since they can invest in the small amount of money they have with the machine. It has a low production cost: The chicken feed machine does not require too many people to operate. In fact, it requires just one or two people to operate it. This greatly cuts the cost of labor that largely affects the production cost. Low production cost leads to increase in the profit margin. Reduced installation cost: The chicken feed machine is simple and small hence it is easier to purchase and install it. You only need a few minutes to assemble the different parts. This reduces the amount of cash required to call a qualified personnel to assemble it. You only need one qualified personnel and another to help him. It’s a low investment machine: Due to its small size, the animal feed making machine requires a small area. This reduces the cost of hiring a big area of installing it and also the time required to install it. 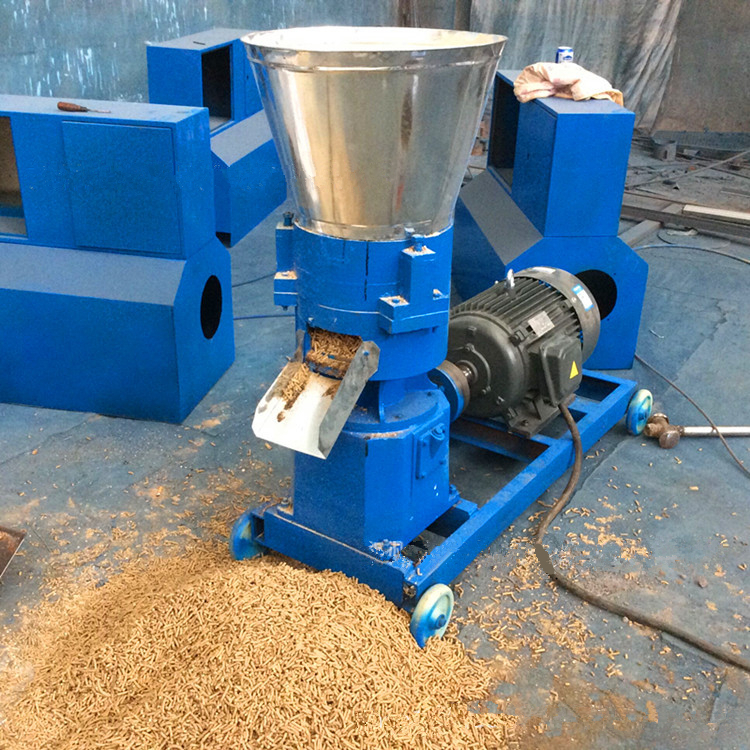 Has a wide application: The poultry feed machine is capable of producing different sizes of pellets for different poultry and livestock animals. This means you can feed all your animals using one machine at the same time. the poultry feed making machine has made it easier for the farmers to rear different types of animals in their farms. animal feed making machine as explained earlier is a small and less complicated machine. This makes the processing of the pellets a bit easier to comprehend. The initial process is to bring the material for making the pellets. These includes soya bean meal, maize meal, vitamin among others. this is the first step to ensuring all the large grains are crushed into powder forms. The chicken feed mill has a grinding machine that is specifically for the crushing purposes. Maize meals, broomcorn, wheat, beans, oilseed meal, soya bean meal may be in large grains and hence must pass the process. They are taken to the crushing machine where they are crushed into fine powder. Without this process, it might be next to impossible to make pellets. the pelletizing system incorporates the pellet mill for poultry feed. This is meant to press the feed mesh and form pellets. this animal feed making machine is able to make the pellets into uniform sizes. These includes the same diameter and length. This is to ensure that the poultry feed making machine produces the required sizes for different animals to ensure that it provides what is required and also avoid wastage during feeding.